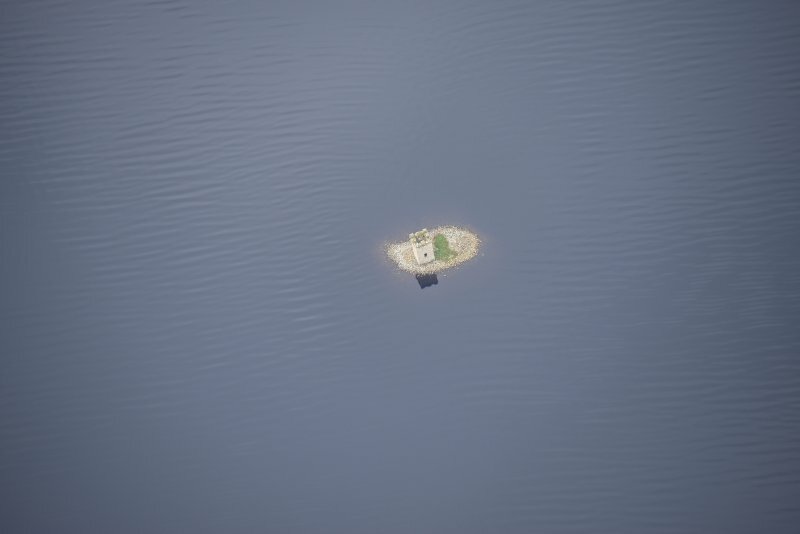 There are two small islands in the upper end of Loch Rannoch. The east and larger one is wholly artificial resting upon large beams of wood fixed to each other. It was used as a refuge and a prison. There is a very narrow road to it from a point on the S side which is always covered by 3 or 4ft of water. 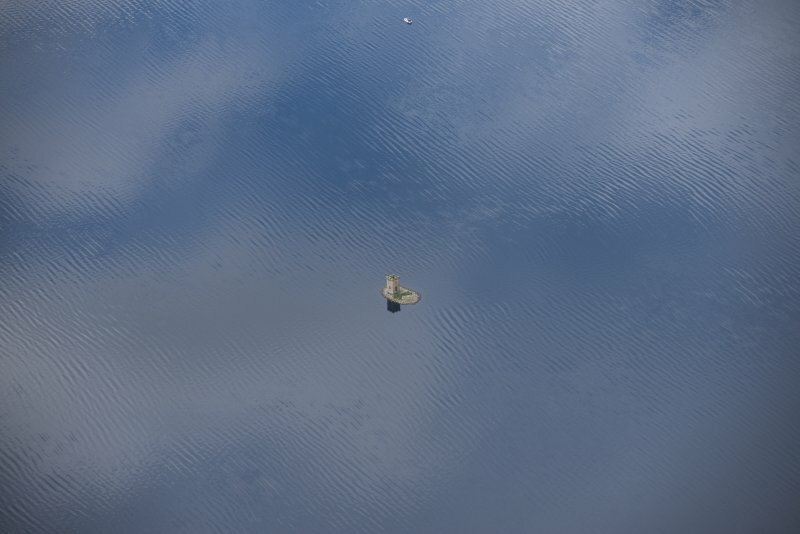 In the centre of Loch Rannoch is an island of stones evidently taken from the shore. 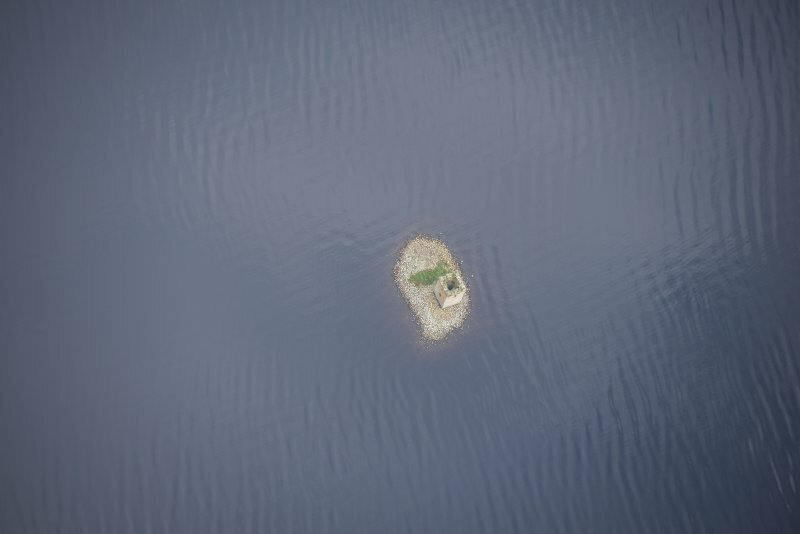 (A photograph of the island shows a tower, presumably that published on OS 6" as Eilean nam Faoileag - NN 5305 5770). Eilean nam Faoileag is a completely stone built island now measuring 17.0m NS by 10.0m transversely. A considerable part of the island lies beneath the surface of the Loch which has been raised at least 6ft in the last 30 years. 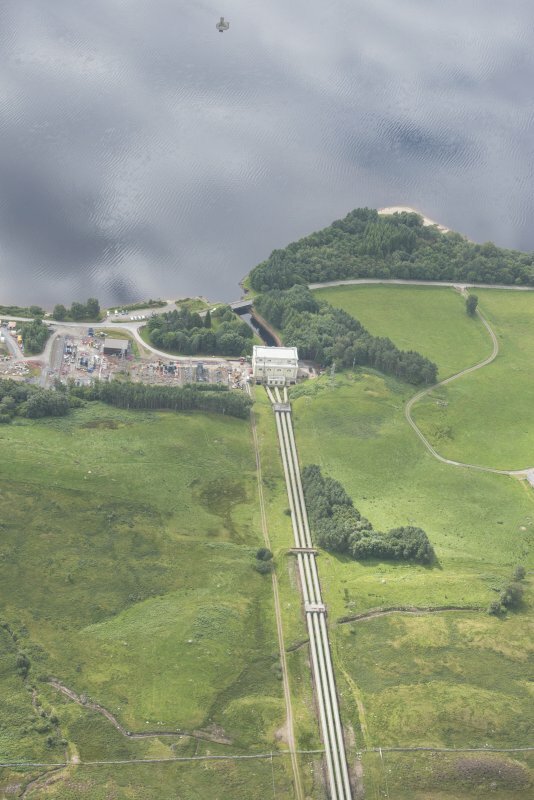 According to local information the sand bank on which it is constructed sweeps round in a gradual curve to meet the S shore and prior to the raising of the loch it formed a causeway just below the water. The tower, which still stands in fair condition, is reputed to have been built in the 19th century by a Baron Granbley and is said to be a reconstruction of a small island prison of the Robertsons of Struan (SDD List). Visited by OS (RD) 3 July 1969. NN 531 577 Loch Rannoch, Eilean nam Faoilaig (NN55NW 3). 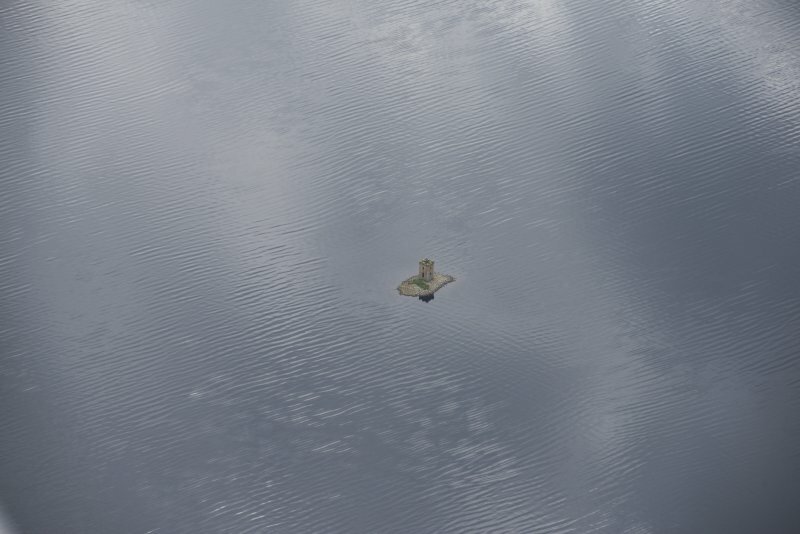 On an island at the W end of the loch is a mound of stones supporting a small tower. There are references to occupation of the island from the middle of the 15th century until the middle of the 17th century; the tower is a 19th-century folly. Pont also shows a building. A large oak timber, lying partly embedded under the stones on the E side of the mound, and wood from lower down on the W side were sampled for radiocarbon dating. The oak gave a date of 840±60 BP (AD 1110) and the lower sample produced 660±50 BP (AD 1290). Both dates are clearly earlier than the literature would suggest, which is not particularly surprising since the references are to occupation not construction of the island.